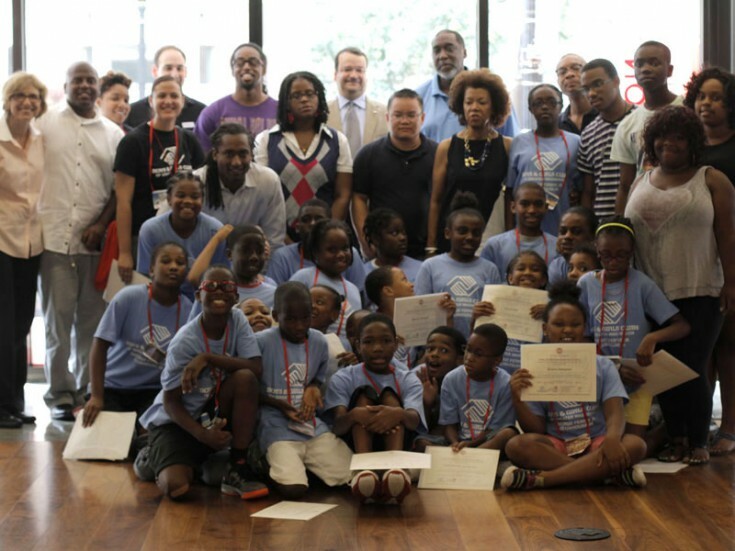 The Tools of the Trade Summer Camp 2013 is a four part educational enrichment program sponsored by the Washington Architecture Foundation and The District Architecture Center (AIA/DC) in conjunction with The Boys and Girls Club of Washington, D.C. This program is structured to foster students’ understanding of the architectural design process via site analysis, modeling, scale drawings, and structural analysis. Alex Barker, Allison Gorman, Oksana Ramos, and Carol Vanderbosch from Cunningham Quill participated as volunteers leading the second design session of four focused on Site Concepts & Design. 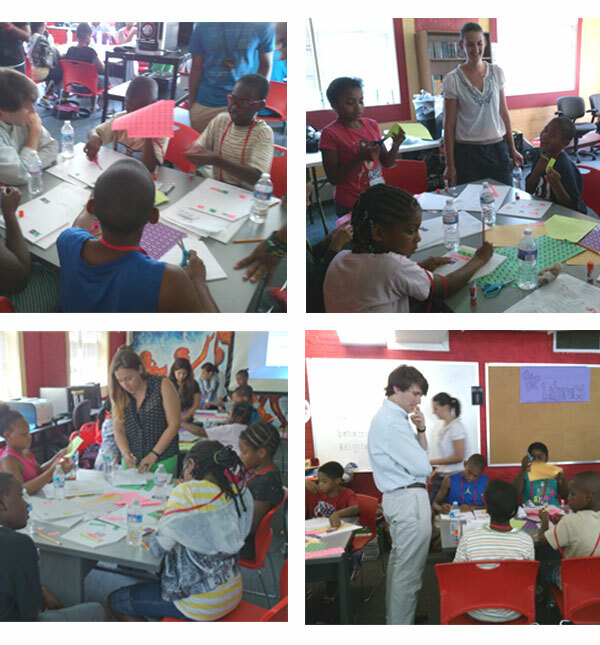 In this workshop, students were introduced to the fundamental concepts of program, context, scale, structure, and presentation. After discussing the importance of site and context in architecture, the entire group walked to a local park to measure the selected site. The students then each created their own plan for a new Park and Environmental Learning Center that challenged them to analyze the site and begin to develop and create a unique architectural design. This workshop is the foundation for the series and provides the exploration of essential architectural concepts: Orientation, Circulation, Sightlines, and Place. Through the four seminars, students learned how each design aspect connects to each other while developing modeling and drawing skills. At the culmination of the series, students created a final presentation model of their design and final certificates were distributed at a closing ceremony hosted by Ralph Cunningham, FAIA, President of the Washington Architectural Foundation. In understanding these basic design concepts, students will gain a greater understanding of math, science, history, art, and sociology as well as develop creative imagination in the architectural realm.